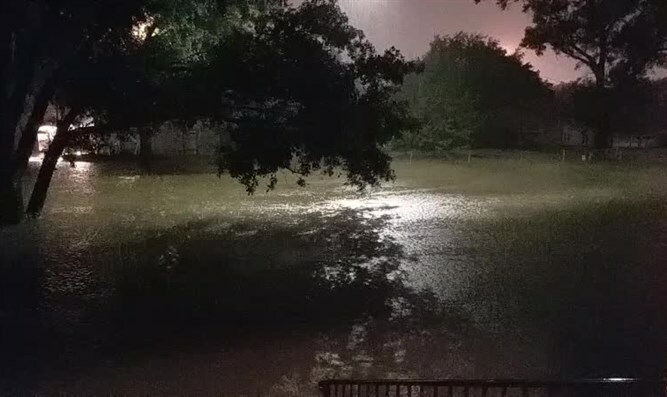 Watch: Bnei Akiva emissaries in Houston report widespread flooding following hurricane strike. 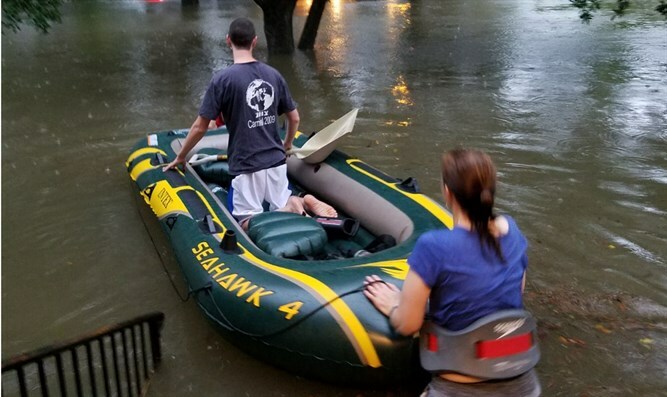 Rafi and Shifra Engelhart, representatives of the World Bnei Akiva movement in Houston, Texas, looked out their window and documented the effects of Hurricane Harvey, which struck the state of Texas over the weekend. The couple took photographs and videos showing the rising floodwaters in the street outside their home. Rafi also said that he and his family have been shut in their home for two days and are listening to weather forecasters, according to whom the worst is yet to come. "The amount of precipitation which continues to fall is very worrisome," Rafi said. "In our neighborhood here we have already been told that there are five inches of water." He said that his family has been in contact with community leaders. "There were many houses that were damaged by the flood waters, including ours. However, the residents are keeping calm, and the number of injuries is small considering the scale of the storm. We hope that people will not panic and continue to remain in their homes." Rafi left early Sunday morning to help people who could no longer stay in their homes due to the rising flood waters. These videos were shot five hours apart.